Treasured for its health benefits and appeasing fragrance, tangerine has been serving a distinct set of purposes for centuries together. From being an ancestral preference to being the millennial’s go to home remedy, tangerine has been everyone’s favourite. Tangerine is known for its Vitamin C supplement, it strengthens the bones while also acting as an anti-aging miracle. 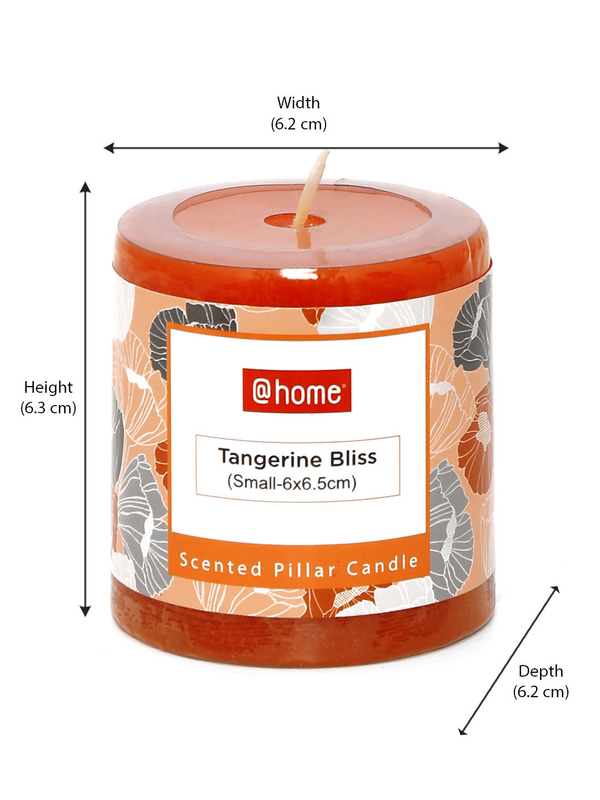 Light up the Tang Bliss Small Rustic Pillar beside your bed to spread across the sparkle of the time-tested Tangerine.